With cold and flu season around the corner it’s more important now than ever before to protect yourself from viruses and to know the symptoms of Ebola. With at least 3,500 dead from this disease in West Africa, it’s important to know how this disease begins to show itself. Just because this virus has not yet spread in the US, don’t think that you cannot become infected. Think about the Ebola patient in Dallas, who had contact with hundreds of people before he went into quarantine. Also, don’t forget the nurse from Spain, who contracted Ebola from a patient she was caring for, went on vacation and came into contact with an as of yet untold number of people. It’s not an impossibility, friends, so let’s talk about what you need to know. This virus causes death in 50 to 90 percent of cases. There is no treatment, there is no cure, although there are some natural treatments that might help to improve the body’s natural ability to fight off this disease, they are, as of this date, untested. Ebola is a frightening disease because, besides its high death rate, its routes of transmission are not entirely clear. We do know that Ebola is spread from direct contact with body fluids, such as spit, vomit, blood, mucus, and diarrhea, but it’s not clear exactly to what extent casual contact can spread this virus. Researchers also admit that they do not know how long a body remains contagious after death or how long after a person stops showing symptoms are they considered to be non-contagious. Because we do not know exactly how this disease spreads or how long a person remains contagious, health authorities are having a very difficult time containing this disease. It is still completely out of control in Africa and with patients being transferred to other countries, some health workers have raised the concern that it’s just a matter of time before this disease spreads to other countries. It’s also unknown exactly where Ebola originates, although it is known that it can infect animals that are commonly eaten in West Africa including antelope, monkeys, apes, bats, and porcupines. Fever greater than 101.5. This is generally the first symptom. 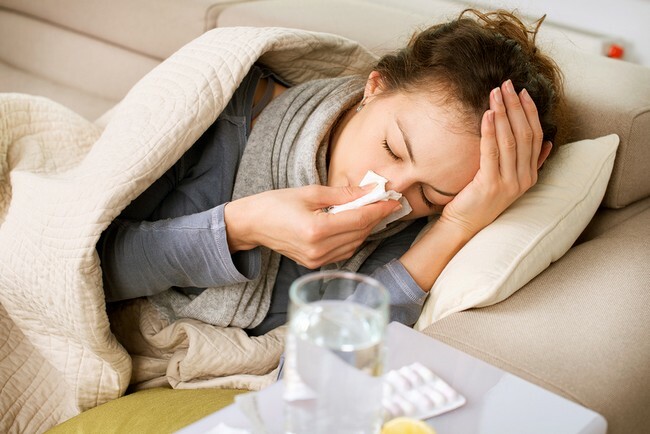 In the early stages of this illness, the fever and headache seem much like the flu and this is how the disease is spread so quickly as no precautions are taken since it appears to be “only” the flu. However, very quickly, usually within 2 or 3 days, the patient becomes much worse and has symptoms of vomiting, diarrhea, and unexplained abdominal pain. The victim might have trouble swallowing or breathing, might develop a rash or bloody blisters on the skin, and chest pains. Many people die from complications such as shock due to internal bleeding, organ failure, seizures, jaundice, low blood pressure, and coma. It’s unknown why some people die and others recover but remember that there is no cure and there is no vaccine. Your best protection is to keep your immune system strong and if you should develop these symptoms, go to the hospital for testing immediately.